Le convertisseur vidéo rapide HD n ° 1 mondial. 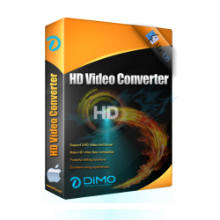 L'offre gratuite du jour pour Dimo HD Video Converter 4.1 était valable le 29 avril 2018! Le convertisseur vidéo rapide HD N ° 1 mondial pour télécharger, convertir, compresser, éditer et partager sans fil des fichiers vidéo HD MKV MP4 AVI H.264 H.265 en un éclair avec une perte de qualité zéro. 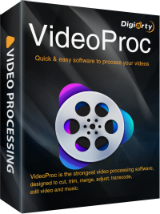 Transcode des tournages vidéo HD incompatibles ou des films en ligne sur iPad, iPhone, Xbox, VR, etc. Modifiez le contenu multimédia HD en coupant, en recadrant, en ajoutant des filigranes / effets vidéo, etc. Le meilleur outil de conversion vidéo Mac vous offre tout ce dont vous avez besoin pour télécharger et convertir des vidéos haute définition (HD) en formats grand public, lecteurs, appareils et logiciels de montage vidéo sur Mac. Dans le cas contraire, comptez sur moi pour faire votre promotion sur les réseaux et auprès de mes contacts (j'espère que la seconde hypothèse sera la bonne - ROTFLMAO ! ). if you don't like 'em don't use 'em.... simples! Hey guys, these programs are given FREELY, no-ones pressuring you to take them... if you don't like 'em don't use 'em.... simples! Windows flashes up this app' as unknown & unsafe! David Wellman, you obviously are into marketing speak... giveawayoftheday.com DO NOT PROMISE THAT all programs offered as part of the project are SAFE, just that they are FREE OF ANY KNOWN MALWARE... the safety of any individual program is down to the contributing developers intentions and programming competence and wisdom which giveawayoftheday.com have zero control over. Also some programs are inherrently UNSAFE like driver updaters and software updaters and registry and filesystem cleaners and system optimisers, even if they are programmed correctly to name but a few. Video converters can cause harm to a system if they register their codecs with the system and alter the pre-exisitng codec encoding/decoding priorities or register older versions than what were already registered on the system reducing stability and performance choices that may have been made prior to installing said software. To name but a few ways programs offered CAN BE UNSAFE. Also some giveaways are barely tested products with bugs because we may be used as a ready pool of unpaid alpha/beta testers too and that is not a role for the inexperienced computer user as often such programs ARE UNSAFE by definition and can require system recovery using system restore or a backup system to regain a stable system! David Wellman, you obviously are into marketing speak... giveawayoftheday.com DO NOT PROMISE THAT all programs offered as part of the project are SAFE, just that they are FREE OF ANY KNOWN MALWARE... the safety of any individual program is down to the contributing developers intentions and programming competence and wisdom which giveawayoftheday.com have zero control over. Also some programs are inherrently UNSAFE like driver updaters and software updaters and registry and filesystem cleaners and system optimisers, even if they are programmed correctly to name but a few. Video converters can cause harm to a system if they register their codecs with the system and alter the pre-exisitng codec encoding/decoding priorities or register older versions than what were already registered on the system reducing stability and performance choices that may have been made prior to installing said software. To name but a few ways programs offered CAN BE UNSAFE. Also some giveaways are barely tested products with bugs because we may be used as a ready pool of unpaid alpha/beta testers too and that is not a role for the inexperienced computer user as often such programs ARE UNSAFE by definition and can require system recovery using system restore or a backup system to regain a stable system!